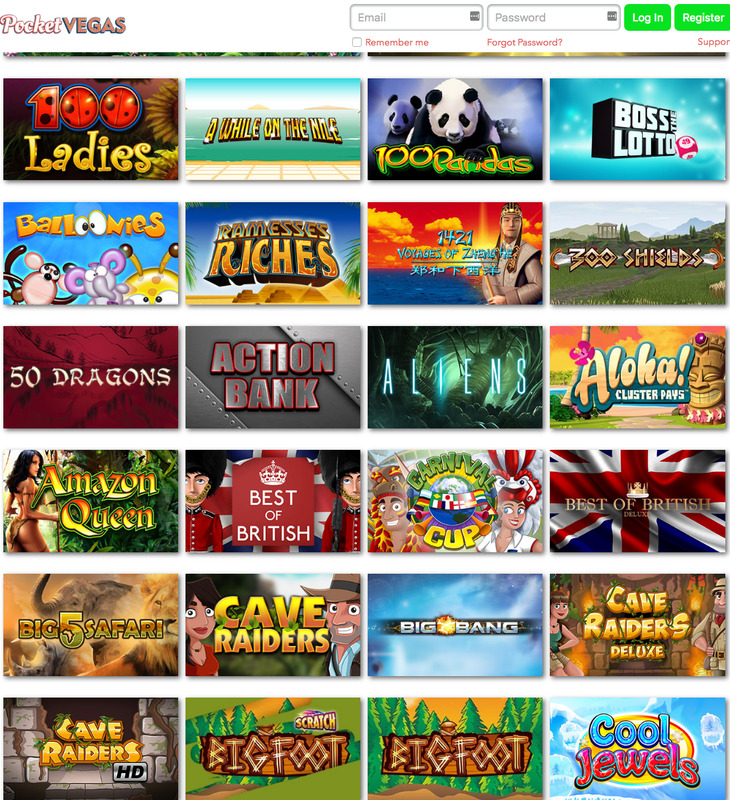 There are a surprisingly small number of online casinos which have a name that actually matches the content of the site. You’d think this would be the first thing discussed in the first meeting before the creation of a new site, but often this is clearly not the case. That makes Pocket Vegas something of a breath of fresh air, a site that does exactly what it says on the tin. As a site aimed at mobile users, this is a site that puts the Vegas experience into your pocket. Mobile users were once a forgotten group when it comes to online casino play, but as the number of players who prefer to play on mobile and tablet devices than on their desktop, the market has been forced to sit up and take notice, which is great news for mobile users, but leaves sites like Pocket Vegas with a lot more work to do. No longer can aiming your site at mobile users be classified as a niche, so Pocket Vegas needs more to stand out from its competitors. What does this site offer in terms of content to ensure that it can offer what is necessary to make an impact on this highly competitive market? When it comes to designing a site with Vegas in the name, it is often the case that the concept chosen is somewhat similar to others of the same ilk, there are times when could even be classified as identical, but that is not the case at Pocket Vegas. Instead of the Vegas skyline and neon lights you may be expecting, what you get here is a blend of subtle pinks that create a rather charming look to the site. In fact, the online Vegas like part of the entire aesthetic here is the word Vegas in the logo, which echoes the Vegas sign, but even this is within keeping with the general colour scheme, this is an example of impressive self-restraint in a field where that particular trait is not particularly common. It isn’t just the look that’s well designed here either, navigation is very simple, with all parts of the site clearly marked and easy to find without the necessity for overly complex and specific sub-categories. The majority of the design outside the colour scheme here is made up of thumbnails of Pocket Vegas’ most popular games, which work within ease of navigation as much as they help the site look good. All in all, Pocket Vegas is a site that has executed its design pretty much perfectly. A good look is nothing without a decent selection of games to back it up, but with titles here being supplied by the likes of IGT Interactive, Nektan, NetEnt, NextGen Gaming, Novomatic, NYX Gaming, Realistic Games, SG Gaming, and Williams Interactive, a decent selection is certainly what you get here. Whether you’re a fan of everything new (in which case you’ll be delighted to find the likes of Cleopatra Plus, Wheel of Fortune on Tour, Wish Upon a Jackpot, and Aloha! Cluster Pays here), or you prefer to play old favourites (in which case Starburst, Gonzo’s Quest, Twin Spin, and Cleopatra are among your many, many options), you are going to be well catered for here. Lovers of table and card games can enjoy Novomatic’s Live Casino suite, meaning that whatever your preference when it comes to both games and gaming type, you’re going to love what you find here. Pocket Vegas is a site that has clearly had a lot of care taken over its construction, and that makes it a great place to play.